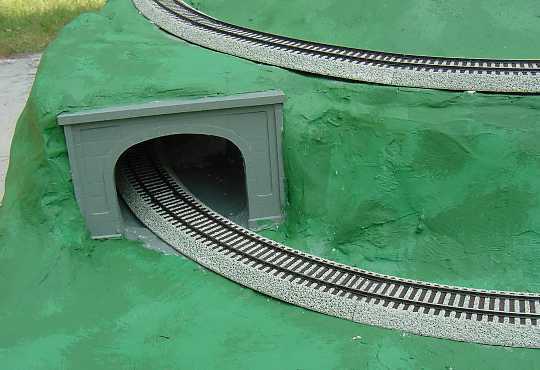 I painted the layout today, I used 2 greens, some gray and some tan. I mixed the colors to give a camoflage effect. 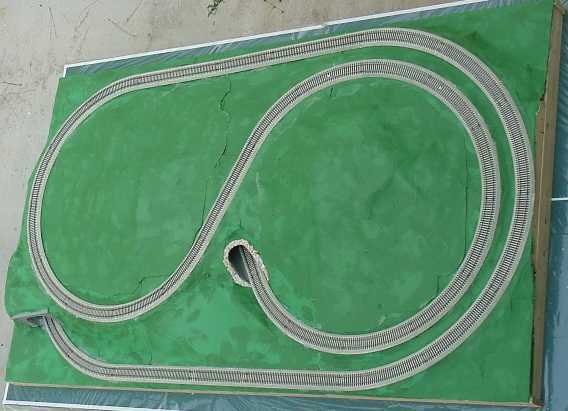 The track is still not glued down. No frock or other scenery yet. The board around the outside will need to be painted. Looks like it will need some weathering, guess I will need to learn how. 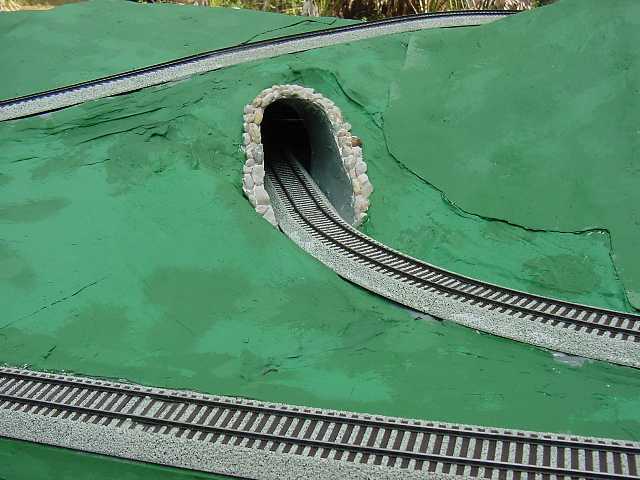 My own design for this tunnel.